When you think of prepositions, dry grammar drills enter your mind. Right? But it isn’t enough for your students to understand how prepositions work. They have to be able to see them in action. 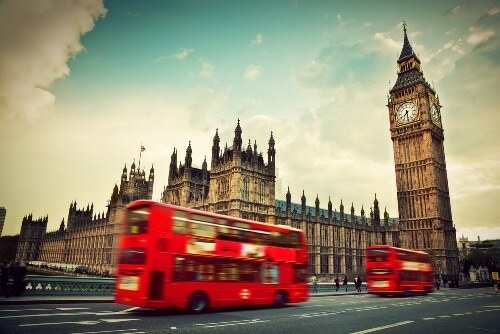 In the modern ESL classroom, English prepositions of place, time and movement can be taught in fun and exciting ways through communicative means. Gone are the days when one grammar subject had to form a standalone lesson. These days, we know that grammar should be taught in context so that students can make meaning out of it. Keeping that in mind, prepositions should be taught in a resource-rich environment where students can make connections, visualize, remember and practice usage through listening, speaking, reading and writing. Prepositions play a crucial role in ESL, and they can be used as a great lead-in to writing activities, particularly those involving description, a much-needed skill in narrative writing. Prepositions, like all other grammar items in the English language, form part of a solid foundation that all ESL students need in order to learn how to write texts. In this post, we will be looking at how to teach each of the different types of prepositions—prepositions of place, time and movement—all without boring your students! One effective way for your students to start getting familiar with prepositions of place is through reading. If you choose a descriptive passage, you will probably find that it contains prepositions that can be utilized in your lessons. My room is usually tidy and organized. It has beige walls and a maroon and brown rug on the floor. Whenever the sun streams in, I draw the royal blue curtains. My bed is right beside the door. A bright blue bedspread covers the mattress. On the bed are two fluffy pillows. There is a wooden desk beside the window. On the desk are some writing materials and a light laptop. A wooden bookcase filled with books is hung over the desk. I love to look out of the window and watch the world go by while I take reading breaks at my desk. Students can read the passage aloud and then answer strategically-formed questions based on the location of objects. Where is the maroon and brown rug in the room? What is beside the window? Name two things that are on the desk. The questions above will surely help students to identify where a piece of furniture or an item is located. The questions will also increase students’ awareness of the different prepositions used in the passage. You may want to present the FluentU video “Prepositions: In, On and By” as a warm-up to this reading activity. 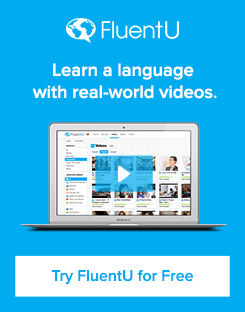 FluentU takes real-world videos—like music videos, movie trailers, news and inspiring talks—and turns them into personalized language learning lessons, so you can introduce a certain grammar point or subject to your students just by pressing play. The next activity you can consider getting your students to do is to circle prepositions found in the passage above. This will help them identify the various prepositions used. They say a picture is worth a thousand words. To test students’ understanding of prepositions, try having them draw the objects in the room as described in the above passage. You may be surprised by how much you discover in your students’ illustrations. Another version of this drawing activity is to get students to draw the location of objects as they are read out. The rug is between the bed and the wardrobe. The shelf is above the table. The above drawing activity not only allows you to sharpen students’ listening skills and understanding of prepositions, but also their imaginations. Another preposition activity worth mentioning is a hands-on approach in which students are asked to place objects in different locations. This will be suitable for beginner level classes. Put your ruler on the table. Put your pen on your exercise book. Put your pencil between your exercise book and your ruler. Put your bag under the table. Put your folder beside your pencil case. While the above activity keeps students engaged, it is limited by the number of objects each student actually has. So make sure you provide each student with a set of objects to be used. You can even use non-classroom objects for the above activity. For example, you could gather acorns, leaves, candies or straws for this particular lesson. Put the acorn under a book. Put the acorn beside your friend. Put the acorn next to your pen. Put the acorn between two books. Put the acorn on the desk in front of your friend. Put the acorn on your friend’s shoulder. Put the acorn in your pocket. To inject an element of fun, use objects available in and associated with the current season. Acorns will be perfect in autumn, for example, while candy canes will make excellent teaching props to mark the festive season towards the end of the year. An effective way to test students’ understanding of prepositions of place is through the use of pictures. Trawl the Internet for a picture of a room with various objects and furniture in it. Get students to write sentences using a list of given prepositions based on the selected photo. You can draw pictures yourself, if you are good at drawing, or simply cut and paste appropriate pictures depicting prepositions. The rabbit is behind the box. Alternatively, you can make sentences containing prepositions based on each picture and jumble the sentences up to create a matching exercise. Click on this link for alternative source material to use for a similar activity. To test students’ listening skills, you can also write your own sentences describing the position of the rabbit in the pictures and read them aloud. Your students can then listen and write the sentences beside the correct pictures. Once your students have a better grasp of prepositions of place, you can get them to describe a particular room in a house, such as a living room, dining room or bedroom. Again, using picture prompts is recommended as it helps students to visualize and pen their thoughts. When we think of teaching prepositions of time, we think of using a clock. Right? Well, there’s nothing wrong with using a clock to teach prepositions, but we can also take things way beyond that. Using pictures to teach prepositions of time may help students visualize how in, at and on are used. For example, when we talk about the weather, we usually use the preposition on. We were in the city on a sunny day. When we talk about the season, we usually use the preposition in. We ski at the alps in winter. You can get students to start using prepositions of time by referring to pictures of weather, seasons, calendars and clocks showing a particular time. For example, students can write the preposition at below the picture of a clock showing 6 o’clock. They can write the preposition on below a picture that shows the word “Tuesday.” Under a picture that shows a calendar with the month of April circled, students should write in. This activity requires some preparation, as you need to gather suitable pictures. An alternative is, of course, to draw, if you are good at sketching. If you have the time, you can prepare time preposition cards and turn the above into a matching activity. Write phrases such as the above on blank cards or pieces of paper. Write duplicates of prepositions in, at and on on blank cards as well. The intention is to allow students to match the phrases with the prepositions. This is an effective method to start testing their understanding of prepositions of time that have been taught. We usually go on vacation ___ summer. This year we will be going to France. We will catch a plane ___ the 25th of June. We will arrive at Charles de Gaulle Airport ___ 3 o’clock ___ the afternoon ___ the 26th of June. After collecting our luggage, we will catch a cab from the airport to our hotel. Since it will be warm ___ summer, we will take light clothes with us. Read the above passage aloud to your students, including the prepositions that have been blanked out. Your students can fill in each gap with the correct preposition. We are going on vacation in summer. We are going to Belgium. We will catch the plane on the 25th of June. We arrive at 3 o’clock in the morning. We will take a train to the hotel from Charles de Gaulle Airport. Remember the PPP approach? You have already presented the target prepositions through various activities and allowed your students some practice. Now it is time for them to draw on what they have been taught by producing sentences using the prepositions of time in, at and on. Have your students produce a piece of work based on target prepositions of time. One good way to do this is to have them plan a vacation themselves using five sentences. This can be done individually or in pairs. Through drilling and practice, your ESL students will gradually be able to use the correct prepositions of time in their oral and written work. Prepositions of movement and direction may be the most interesting type of prepositions to teach, as teaching them can involve a lot of hands-on activities. It is a good idea to collect pictures that illustrate prepositions of movement or direction. You can obtain pictures from the Internet, magazines or newspapers and store them in a resource file. This resource can give you some pictures to get started and a corresponding exercise. You can get your students to match the pictures to given prepositions and then get them to write a sentence on each preposition. This resource provides animated visuals that may make up for challenges in explaining prepositions of movement. Showing these to your students may be helpful in getting the ideas across better. Alternatively or as a later activity, you can get students to cut pictures that show target prepositions from magazines or newspapers. They can paste these on a sheet and write a sentence on each picture. This can be used as a teaching resource for future lessons. Giving directions is another effective way to learn prepositions of movement and direction. Using a road directory is an excellent option. Print a page and ask students to give directions to a landmark or a building. Target prepositions in this case should be along, next to, opposite, across, in between, etc. You can divide the class into two teams and instill a competitive element by getting the teams to compete against each other. The first team to find all landmarks or buildings on the map by following a given set of directions will be the winner. This link gives an example of another effective communicative activity you can have your students do in pairs: Get your students to pair themselves up and decide who is A and who is B. Give out maps labeled A and B accordingly and get the pairs to take turns asking directions to a certain place featured on the handout. Once the places have been found, students can mark the names of the places on their maps. Here is a drawing directions activity, which involves illustrating prepositions of movement. Here is another example of a communicative activity testing students on their skills at giving directions. These communicative activities on direction-giving are effective methods to test students’ understanding of directions using the target prepositions. The activities also give students a chance to communicate with each other and become engaged in the classroom. You may think that teaching grammar can be boring. Likewise, your students may think that learning grammar can be dry and lifeless. But I hope you see now that it doesn’t have to be. Why not reinvent the wheel by making grammar fun to learn? Use visuals and take advantage of technology. Make preposition teaching as interactive as you can, so your students can not only have fun while they learn, but also make meaning of and remember new information. The key to bringing prepositions to life is to use the right resources and prepare your lessons well!